We are a noteworthy organisation in the domain, engaged in providing Pillar Type Hydraulic Press. Offered hydraulic press is preferably used for trans molding, vertical injection molding, rubber molding, FRP DMC molding. 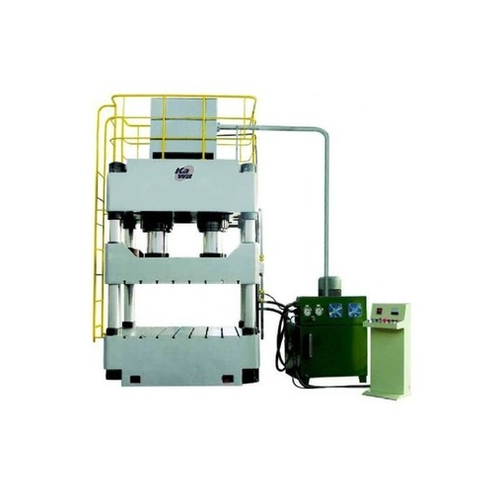 This hydraulic press is used for the manufacturing of components which, owing to their weight and size, can slip over the broach and run down a chute into a receptacle when finished. Pillars also act as bearing rods for the moving platen.